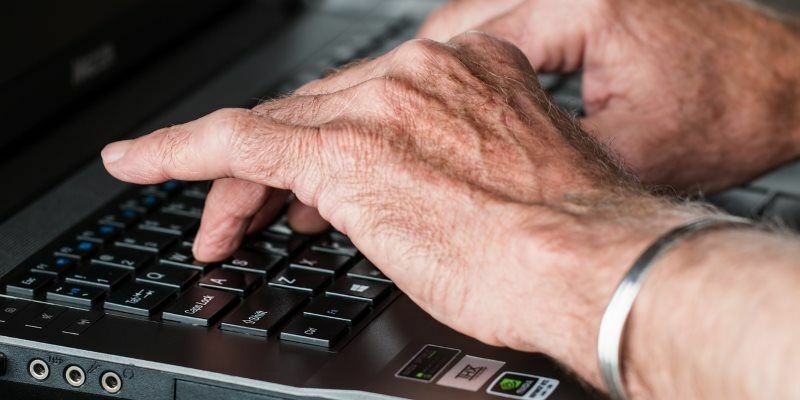 As technology advances at a rapid pace, it becomes harder for seniors to “break into” the digital age. Windows 10 is a tricky operating system for seniors, especially if they got so used to older Windows iterations like XP or 7. 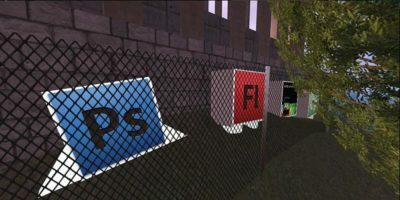 As such, there are a few things you can take care of to ensure they have a stress-free time using their new computer. Setting up a computer for a senior requires a little thought. First, you have to set up the PC so it can run without much outside influence, which puts less responsibility on the senior to keep things ticking along. It also, hopefully, reduces the amount of phone calls you’ll get for tech support! Secondly, you can set up the operating system to be more friendly to those with accessibility issues. 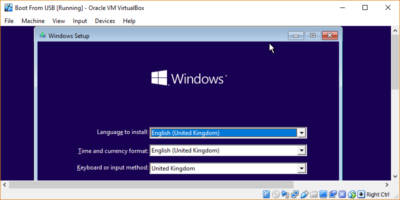 If you bought a Windows 10 machine that contains bloatware, see if you can get rid of it. A senior may be confused by all the software that’s suddenly shoved in their direction. You’ll want them using tested software that can be easily navigated by a senior, instead of whatever software the manufacturer was paid to include. Strip out the bloatware and replace it with a decent alternative if need be. The best defence against viruses is careful browsing. 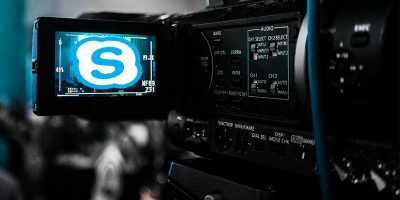 For people new to the Internet, however, all it takes is one convincing banner ad or spam email to pop up, and a virus has made its way onto the computer. It’s a good idea to set up an antivirus beforehand, and let the senior know how to use it. Grab a free antivirus to help save on money; there’s plenty of decent free options available that you can set up and leave running in the care of a senior. It’s always good to ensure the latest drivers are installed and ready to go. Having faulty or old drivers may cause things to go odd, which will confuse a senior and may make them think something is physically broken. Give all the necessary drivers a once-over to avoid any stress. Now that the operating system is mostly set up and ready to go, it’s a good idea to introduce the senior to Ease of Access. 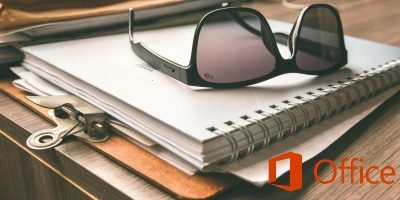 This has some handy tools included to help people with difficulties get the most out of their computer. It includes Narrator (who reads text on the screen) and Magnifier (which blows up an area of the screen for closer inspection). You can also make the cursor larger here for an easier time tracking it. 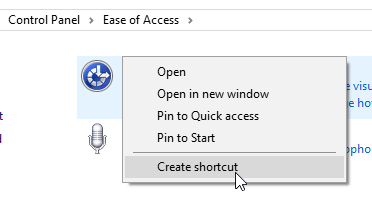 You could educate them on how to navigate to the Ease of Access panel when they need it, but it’s easier to make a desktop shortcut instead. That way they only need to double-click the icon on the desktop when they want to change something or enable a feature. 1. 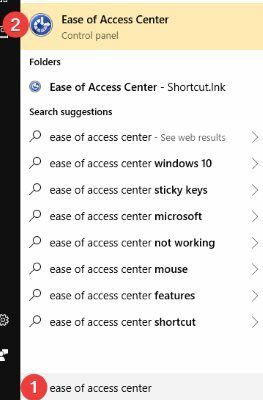 Click the Start button, type “Ease of Access Center,” and click on “Ease of Access Center” when it appears. 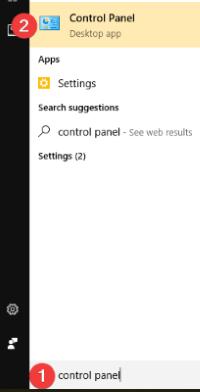 Windows 10 will pop up an error message, as it will believe you’re trying to make a shortcut within the Control Panel itself, which isn’t possible. It will, however, suggest a shortcut be made on the desktop, which is exactly what we do want. Say “Yes” to this. This will create a shortcut on the desktop, so your senior user can quickly and easily get to the Ease of Access settings. From here, they can enable and disable the accessibility features Windows 10 has to offer. If you have a large monitor or multi-monitor set up, a senior may lose their cursor from time to time. Other than making the cursor bigger or a different color (as done in Ease of Access above), you can also set it so that the cursor will create a “visual ping” when you press Ctrl. To activate this, click the Start button, type “Control Panel” and click the entry that appears. If you’re in “Icons view,” click Mouse. If you’re in “Categories view,” click Hardware and Sound, then Mouse under Devices and Printers. Once you OK out of this window, you can press Ctrl to find the cursor. Ideally, the internet can be set up once and then ignored until a problem arises. If they have a router, do the setup either via Wi-Fi or Ethernet adapter and get it up and running. Once done properly, the user should get Internet access the moment they log on without lifting a finger. Once the Internet is running, be sure to give them a proper browser! There are plenty of free, secure browsers that help defend the user against web attacks without any additional instruction. Then, see if it has any useful extensions that can enhance a senior’s life. Windows 10 can be a little tricky for seniors to use. 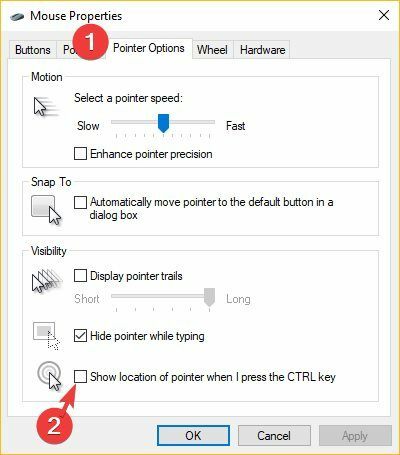 By adjusting a few settings before handing the computer over, you can make their life a little easier. What are your favourite tricks for prepping a Windows PC for a senior? Let us know below! I think that this advice goes pretty well with any end user, not just senior users for whom you wish to minimise the support requirements windows10 has. The majority of us would like a machine “set up to go”, with all relevant (free or paid) software, but not to the point where it’s struggling to do anything (bloatware) or vulnerable (no antivirus). I had a friend give me a core2 machine with win 7 ultimate on it, too much, and it fell over whenever I was doing something standard, LOL. So I reinstalled win 7 home basic, and that was fine. Considering I am a senior citizen, I find the article condescending and insulting. You portray seniors as totally inept and having to be led by the hand. Win 10 is a tricky operating system for everybody, not just seniors. Speaking of tricky, how do you propose to handle Windows Updates that might bork the system? Points 1, 2, 3, and 6 apply to all users, not just seniors. You forgot Point 7 – setup a regularly scheduled backups. I replace Windows, especially 10, with Linux. It is no harder to use than Windows and it doesn’t come with bloatware. If there are any unwanted programs/applications, they are much easier to remove from Linux than from Windows. No need to hunt down any program remnants in unexpected directories and in the Registry. Also, most of the most popular distros (especially Ubuntu-based) are easy for anybody to re-install if need be. All one has to do is to answere 3 or 4 questions, wait 10-20 minutes, hit ENTER when told to reboot and one is presented with a complete, ready to use system. No need to go out and get all the necessary applications. Hahaha!–that was my 1st thought when I read the headline too–put Linux on it. My 70+ y.o. friends (who I installed Elementary OS for) totally agree. And they were comparing it to using the old, simpler XP–not the monstrosity called win10. Not only was it easier to use overall, they no longer have to worry about a virus every time they have a squirrely web page give ’em problems. Unfortunately, I have an uncle that insists on having a computer. Everytime I get it set up for him and get home he calls me that he can’t remember how to turn it on. I marked the power button with a sticker that says on. I don’t know what else to do. Don’t allow him to turn it off. BTW – is he as forgetful about other things? Good article but I also find it condescending towards seniors, my experience is Windows 10 is tricky for everyone. I deal with tech issues daily at work and have been inundated with Windows 10 user issues since it first came out. Windows 10 is not user friendly as Microsoft controls more and more of your system. The answer is Linux but the corporate world is pretty much set on Windows. The corporate world, for the most part, still thinks of Linux as some fly by night O/S. Most corporations still have the mentality of “who do we blame/sue if something goes wrong”. The fact that Red Hat, Oracle, SUSE provide as good, if not better, support than MS seems to evade the corporate world. Of course, the vendor lock-in by MS could also be a factor. For many companies, the conversion costs and the conversion time are prohibitive. Guess what the dominant host OS on Microsoft Azure is. Yeah, it used to be Windows. Ever read the ads for “Senior PCs” in AARP magazine? Guess what – they all use Linux. Nobody needs the hassle and grief of Windows. I’m only 71 and run Linux Mint. When my dad had problems with his PC I installed ZorinOS on it. No more frantic calls about Windows problems. Nowadays I think Elementary might be a little better but to each their own.